Granite is what is known as a hard, igneous stone. This stunning product of nature is formed as molten magma flows beneath the earth’s surface into other types of rock and slowly cools and crystallizes. The cooling magma combines with other naturally occurring minerals like feldspar, mica, and quartz, and creates the crystal-like appearance that granite is so well known for. It’s important to note that granite is naturally porous and susceptible to staining if not properly cared for. This is why it’s strongly recommended to apply a high-quality sealant during your countertop installation to protect the natural beauty of your stone. Annual professional resealing will ensure your stone maintains a non-porous surface for decades to come. Granite is an excellent choice for kitchen countertops. This natural stone is harder than marble, which means your new granite countertops are less prone to chipping and scratching. 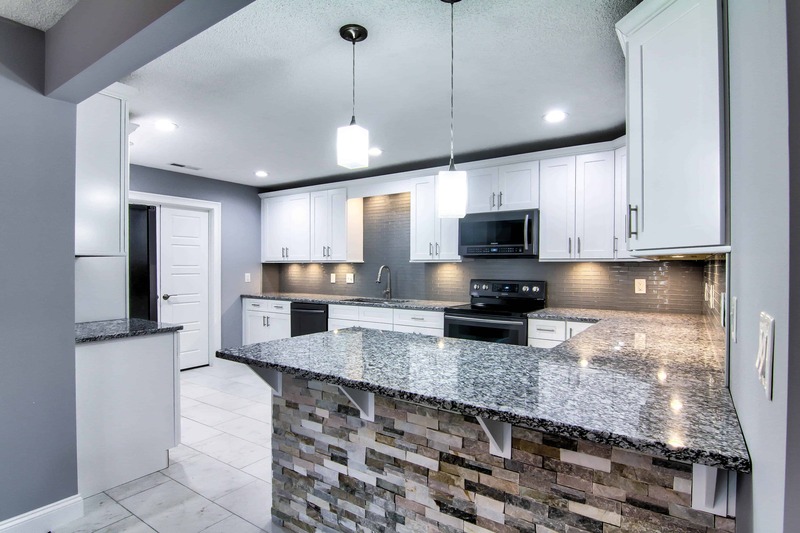 When you choose granite for your kitchen countertops, you can enjoy the peace of mind knowing your natural stone has the ability to withstand hot cookware and sharp utensils with ease. Daily cleaning is a breeze as kitchen granite countertops are low-maintenance. You’ll need only a soft cloth and a mild soap and water mixture for cleaning. You’ll want to avoid using abrasive cleaners and harsh chemicals as these materials can compromise the integrity of your sealant, making damage to your stone not only possible but, inevitable. Make sure acidic materials like vinegar, citrus and fruit juices, coffee, and soda are promptly cleaned from surfaces to prevent the possibility of etching and irreparable staining. 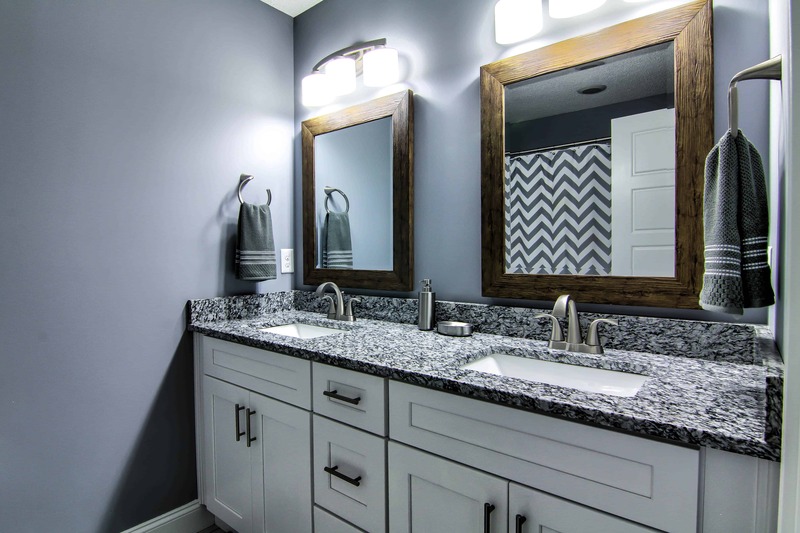 Bathroom granite countertops and vanities can transform the entire space. Whether you envision the eye-catching drama of a deeply rich hue or the stunning elegance of a uniquely curved edge, you are sure to find a stone that suits your specific style and taste. With a properly maintained, high-quality sealant, your bathroom granite countertops and vanities will maintain a hygienic surface. This means your bathroom granite countertops and vanities won’t harbor odors, microbes, bacteria, or viruses. This gives you the added peace of mind knowing your bathroom granite countertops and vanities are safe and sanitary for you and your family. Granite comes in a multitude of hues and patterns that can suit any design, style, and taste. Because each stone is truly one-of-a-kind and unique to its formation, the color variations are virtually endless. Whether you are looking for a bold and dramatic showpiece or a simple, understated compliment to your design, you are sure to find the perfect stone for your space. Granite countertop colors will ultimately depend on the region and minerals present during formation. Colors typically range from creamy whites, deep blacks and rich reds to gorgeous greens and brilliant blues. Polished - Creates a mirror-like, high-gloss shine and is the best choice for those concerned with scratch and stain protection. Honed - Creates a matte finish with minimal reflectiveness. Scratches may be slightly more visible with this finishing. Leather - Creates a matte finish similar to a honed finish with added texture. There are a multitude of benefits you can enjoy with granite countertops. 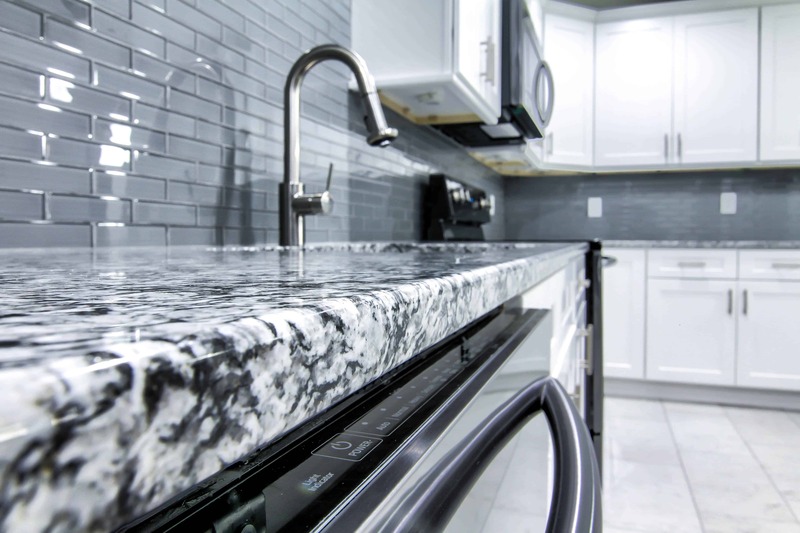 From the impressive affordability, to natural heat resilience and low-maintenance needs, it’s easy to see why granite is one of the most sought-after materials for kitchen and bathroom countertops. Unique Appearance - Formed by nature, granite offers a truly unique, one-of-a-kind appearance that cannot be replicated. Sanitary - With a properly maintained sealant, your granite countertop surfaces will remain non-porous and incredibly hypoallergenic. Heat Resistant - Because this stone is formed by heat and pressure, you can rest easy knowing your granite countertops can handle hot cookware and sharp cutlery with ease. In fact, it’s more likely that your granite countertops will dull your knives. Low-Maintenance - There’s no need for costly cleaners and tedious cleaning techniques! You’ll only need a mild soap and water mixture and a soft cloth for daily cleaning and wipe-downs. Perhaps one of the most appealing benefits of granite countertops are the fact that they won’t depreciate over time. In addition, if you ever decide to place your home on the market, these high-end features will help your home to appeal to a wider range of potential buyers. This means your home will likely spend less time on the market and garner higher offers from serious buyers who are looking for these high-end finishes.